It may be the first step of Austria to move away from its EU friendly image. The narrow margin win of Bellen indicates that the anti-establishment parties of the Europe have started gaining influence. Hofer accepted and announced that he lost the presidential elections. At the same time, he thanked his supporters. Also, he declared that he is naturally said, but the work he and his supporters did will never go in vain. “I would have been happy to have cared for our wonderful country as federal president.” His post said that the work of his supporters during the election is “not lost but an investment in the future,” Hofar added. The Freedom Party, the political party of Hofer has exploited anti-EU semtiments many times. It has also predicted that refugees can overrun the Austria and can become the most popular political force of the nation. Van der Bellan supporters have a majority of pro-European Union Austrians who are in favor of humane immigration policies. 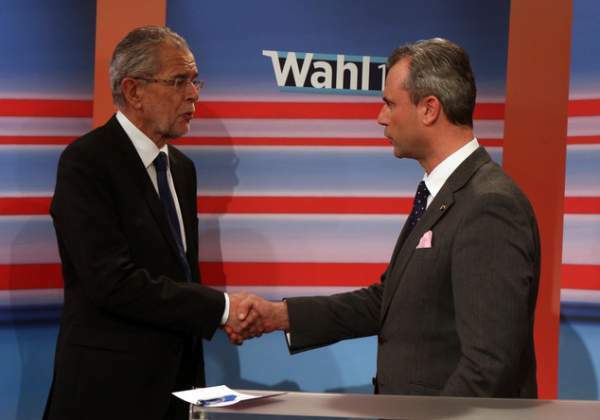 The voting which took place on Sunday revealed the intentions of majority of populartion of Austria. It directs the nation particularly over migration and the future of EU. The loss of Hofer shows the increased growth in the favor of anti-establishment parties across the contitnet to the detriment of the political middle. The dissatisfaction of the Austrians over the status quo can be estimated from the fact that the two biggest parties – Social Democrats and People’s Party which support formed the coalition government were eliminated in the first round of voting itself. These parties had been in the power since the end of World War II and have played important role so far. The winners of every elections used to belong from either of the two parties.